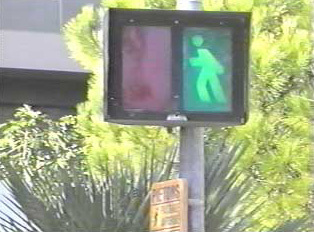 Although there are walk lights at pedestrian crossings, one must always use caution before walking. Particular care is taken at crosswalks when children are coming home from school. Most cities in France have a pedestrian zone comprised of a designated number of blocks where there is no automobile traffic allowed. The larger cities have more developed pedestrian zones; however, all of them feature special shops, restaurants and cafes designed particularly for shoppers, pedestrians and tourists.